Q. What sets the Academy apart from other institutions? A. A unique feature of our courses is that we combine knowledge of the subject matter with practical tasks (set tasks, found at the end of each lesson). So you get to do practical components in each lesson. The benefits of this approach are immense: - your skills and knowledge are developed to a much higher level not normally found at other distance learning institutions. Q. How do the practical exercises (set tasks) work? A. The practical component of each lesson can be in the form of : Field Research, Networking and Analysis, Conducting Surveys, Growing, Collecting, Photographing and Processes. Q. If I do a shorter course first, can I get credits towards a certificate or diploma later? A. Yes. We will assess previous studies to give you appropriate credits. Q. Can I pay by instalments? A. Yes, you can view all available payment options here. Q. Do I get a discount if two of us enrol together? A. Yes. You may claim a 5% discount on fees if you both enrol in courses at the same time. Q. Do I get a discount if I enrol in a second course? A. Yes. You will be offered a 10% discount on subsequent courses you enrol for. Q. Can I use more than one discount code when enrolling for my course? A. No. You can only use one discount code chosen by yourself per course, when more than one is available. A. It's OK to take a break and start up your study at a later point in time. Just let us know. Q. Do I need any text books? A. 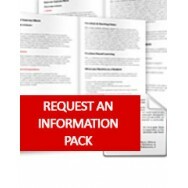 You do not have to buy text books for our courses since each module has been written by highly qualified tutors and writers, and our courses are updated on a regular basis, adding new information, methods and knowledge. You are supplied with all "essential" references. Extra books are always useful though, especially for special projects. Tutors will advise you what to buy if you decide you would like to have extra reading material , but it is not essential. 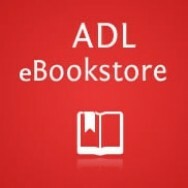 Check out our eBookstore if you're looking for a starting point. A. There is no maximum age limit. We do however; have a minimum age limit of 18 years. Below that age parental consent would be required. A. There are no hidden extras - the tuition fee covers all course material, unlimited tutor support, assignment marking/feedback and any text books where specified and exams. The only extras are for the public examinations fees for the ICB Bookkeeping course and the RHS (Royal Horticulture Society) exams. Q. Are your courses up-to date? A. Our courses are continually updated. The course content is rapidly updated and improved without the red tape and bureaucracy experienced at other educational institutions. A. We have a refund policy that is fair and equitable. For further details please click here. Q. What Recognition do you have? Q. Will I have any opportunity to engage with other students? A. We have a Student Community group based on facebook! If you don't have a facebook account already, you could make one just for talking with fellow students on the group. Q. Why should I enrol with the Academy for Distance Learning? A. Here at the Academy our students are our priority - we treat every student as a unique individual. This philosophy allows us to nurture those who are “slow and steady” learners rather than letting them fall through the cracks, while catering for those who are in a hurry to complete. Q. When can I enrol/start? A. You may enrol and start at any time of the year – it’s all self- paced. Q. Can I study from anywhere in the world? A. Our courses are available to any one, anywhere in the world from the comfort of your own home. The course content is relevant to any country, culture or economy. A. You complete the course at any time that is convenient to you. You’re under no pressure to finish by a certain deadline. Q. Completing the course- how long will it take? A. Completion of modules varies from student to student. Many factors come into play such as work commitments and family life- there are always distractions. Some students work quicker than others. For a 100 hour module many students will take up to 3- 6 months, others take less time and some are even longer. It's all up to you. There is no pressure to complete or deadline to finish. Naturally, longer courses will take more time. Q. What learning formats are there? A. 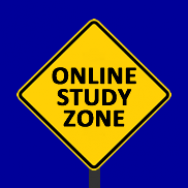 Your enrollment comes with the Online Classroom study option by default. For a small additional cost you also have the options of USB or Correspondence. Correspondence: The course is sent to you in bound paper form. Q. Assessment - how does it work? A. For each 100 hour module you are assessed by assignments (at the end of each lesson) and a final one and a half hour exam (or you may elect to complete a project instead of sitting the exam) - the choice is yours – you sit for the exam in your own location, or you can visit us in Canterbury, England to sit the exam if want to. Exam fees are included in the tuition fee you paid. You can read more about the examination process here. At the end of each lesson there is an assignment. You submit it to the academy who then submits it to the tutor for marking, comments and feed back. Our policy is to have a grade for you within 5 to 7 days. Q. If my assignment is not up to standard is there an opportunity to resubmit my work? A. Yes - If you’re not happy with your work submitted you may re-submit the assignment again. Q. How many assignments do I need to complete for each module? A. At the end of each lesson there is an assignment - so if a course has say, 10 lessons there would be 10 assignments. The number of lessons per module varies from module to module. See the course content from our website for further details. Q. When do I have to hand in my first assignment? A. There is no deadline for handing in the first assignment. Submit when you are ready. There are some students who hand in assignments within the first couple of weeks of enrolment – while there are others who submit their work 6 months later. It’s all at your own convenience to suit you. Everyone has different work and home commitments and we cater for these needs. Q. I am having difficulty attending workshops/industry meetings, what can be done? A. If your course requires attendance at workshops, conferences or industry meetings; alternative arrangements can be made in your country; however there may be an additional expense. We can appoint an appropriately qualified person anywhere to work through curriculum documentation supplied by us, to satisfy the requirements set down in a course. Q. What qualification will I receive? A. For individual modules you would receive a Certificate (providing you complete all assignments and the exam). If you just want to complete the assignments only, then a Letter of Achievement would be awarded. For more details on qualifications awarded please click here. Q. Is there a next level to progress to? A. Yes – you can progress from one module to a combination of many modules and to higher qualifications i.e. Advanced Certificates, Diplomas and Higher Advanced Diplomas. Read more about course levels here. Q. Can I customize my diploma/higher qualification? A. Not all educational institutions certificates /diplomas meet everyone’s needs. The opportunity to design your own diploma at the Academy (subject to our approval) is an added bonus, not found at other colleges. It’s a very popular option and widely used by many students. You quite simply choose the appropriate number of related modules needed to complete the qualification and submit them to us for approval as a custom diploma. Q. What do I get when I complete the course? Will I receive a transcript? A. At the completion of a 100 hour Certificate course and providing all assignments and exam have been completed, you will receive a Certificate and Transcript. The Transcript will list your GPA. Each 100 hour module is worth 3 credit hours. Q. Do I have to sit for an exam? A. Exams are optional but need to be undertaken in order to receive the Certificate or higher qualification. Exams are one and a half hours long. You appoint an adjudicator (subject to our approval) to supervise the exam. You sit for the exam in your own location. Its that simple. Q. I don’t cope well with exams – what can I do? A. If you feel you don't cope well with exams you may elect to undertake a Project (set by the tutor) instead of sitting the exam. Many students prefer this option as they find researching the material for the project sharpens their research skills. Q. If I don’t sit for the Exam do I still get a qualification? A. If you don't sit for the exam but complete the project alternative, you will still receive your endorsed qualification. If you don't sit for an exam or complete a final project, providing you have completed all the assignments you will be awarded a Certificate of Achievement. Q. Do I have to sit for the exam at the Academy? A. No – whilst you are more than welcome to come to our location in Canterbury, U.K. and sit the exam in our classroom; the more popular option is to sit for the exam in your own location. You appoint an adjudicator to supervise the exam. Click here for more information on that process. Q. Are there any exam fees? A. There are no exam fees. However, for some public examinations such as the ICB (Bookkeeping) and RHS courses exam fees do apply. See course content for details. Q. Our tutors - who are they? A. We only employ tutors who have are currently active in their industry with at least 5 years of real-world experience. Not only are they highly qualified but also experienced, knowledgeable and professional- experts in their chosen fields from all parts of the world. Q. Can I contact my tutor at any time? A. Yes- you have unlimited access to tutors. We strongly encourage students to develop dialogue with their tutor. This is why we encourage students to submit their first assignment fairly quickly at the beginning of the course. Every Academy student is assigned a tutor who supports you throughout your course and beyond. Your tutor is there to guide and facilitate your learning and provides as much or as little individual contact as you would like. When you submit your coursework the tutor will give you feedback that helps you develop your ideas and provides motivation. For those who do like to have interaction with other students, the ADL discussion forum connects you to students from all over the world. Q. How do I contact my tutor? A. You have direct contact with your tutor by email through the Online Classroom. Alternatively, you can write, fax, email or phone the academy. Leave a message if your tutor isn't available and they will phone, write or fax back; whatever suits you. Q. If I don’t agree with / like my tutor can I request a change? A. Yes – we try to accommodate and meet student’s needs and a change of tutor may be arranged. Q. If I don’t understand a question or a lesson may I contact the tutor? A. You may contact a tutor as often as you like. There is no additional charge or restriction on this service. Contact can be made via the Student Zone, email or by phone. Q. Practical work - How is this done? A. To find out more about this part of the course please visit the section on How Our Courses Work here.